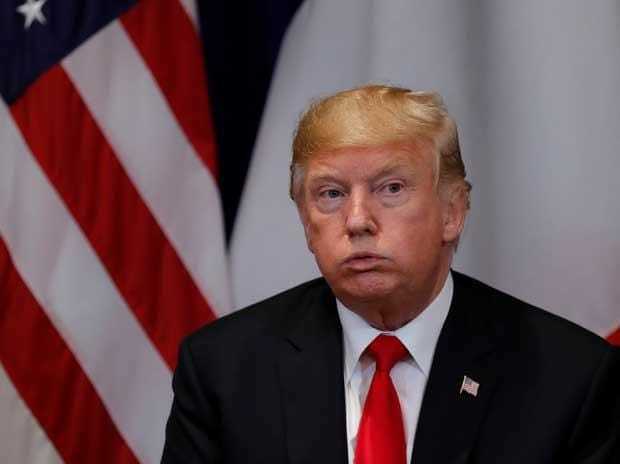 The Republican-led US Senate is set to reject the national emergency Donald Trump declared to build his Mexico border wall, likely forcing the US president's first veto, Majority Leader Mitch McConnell said Monday. The House of Representatives, which is controlled by Democrats, passed the so-called resolution of disapproval and sent it to the Senate, which is expected to vote in the coming weeks. Senate Republicans have a 53-47 advantage. But four of them have now announced they will vote with Democrats to block Trump, who is seeking to bypass Congress to unlock funds for construction of a wall on the US-Mexico border that he insists will reduce illegal immigration and drug trafficking. Several other Republicans, while stopping short of announcing they would vote against Trump, have expressed deep concerns about his move, arguing it is a blatant attempt to expand executive authority. With Senator Rand Paul this weekend becoming the fourth Republican on board, the resolution of disapproval is now likely to be sent to Trump's desk, forcing the president into the tricky position of vetoing the measure and acting in clear opposition to Congress. Each chamber would then need to deliver two-thirds majorities to override Trump's veto -- an exceedingly high hurdle. "I think what is clear in the Senate is there will be enough votes to pass the resolution of disapproval, which will then be vetoed by the president and then in all likelihood the veto will be upheld in the House," McConnell told reporters in Kentucky. "I was one of those hoping the president would not take the national emergency route," McConnell said, although he backed Trump when he announced his plan. The Senate leader acknowledged concern that a future Democratic president might use Trump's precedent-setting action as a rationale for declaring national emergencies to bypass Congress on issues such as climate change, healthcare or gun control. "That's one reason I argued -- obviously without success -- to the president that he not take this route.